Third album from these guys. They’ve got a new drummer – Andy Burrows, formerly of Razorlight – for this release. 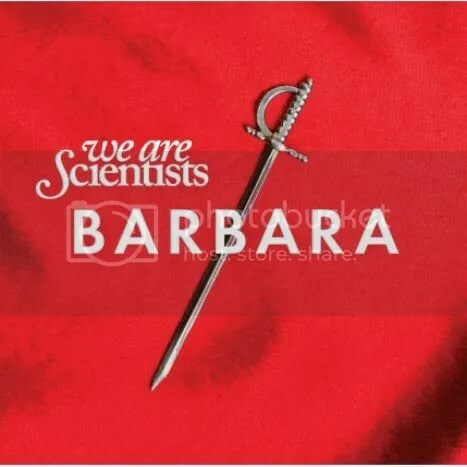 Barbara is definitely a return to form for We Are Scientists. It may be just as good, if not better, than their debut album With Love And Squalor. We all know how many times I’ve played that record, so this isn’t a compliment to be taken lightly. The songs on here are catchy and are prime examples of what danceable rock and roll party music should sound like. I especially enjoy this line in “Break It Up”: “If no one wants to be up all night, what’s the point in even going out?” Amen, brother, amen. Now let’s drink up and dance. This entry was posted on June 22, 2010 at 12:00 pm and filed under TheSlacker. You can follow any responses to this entry through the RSS feed.